Hello everyone! 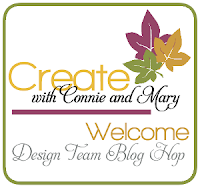 Welcome to another Create with Connie and Mary Saturday blog hop! 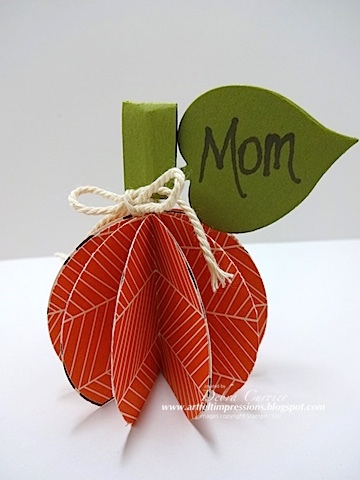 This week the designers are showing you all some fun and easy Thanksgiving Favors! I am your stop right after the fabulous Debbie Henderson! Thanksgiving seems to be one of those holidays that gets overlooked as we finish up Halloween and bull right through to Christmas. I really enjoy Thanksgiving as I get to spend some very relaxing time with my family! And my mom cooks the most awesome meal. Ever! So when I went looking for some ideas to make some small favors, I had a hard time finding any with a Thanksgiving theme. Then I happened upon these super cute little pumpkins! I thought they would be a perfect addition to the place setting on the table! And they are SO super easy to make! It's time to send you on to see what the fabulous Connie Babbert has created! Thanks for stopping by and have a super day!